Run outline of mittens on construction paper. 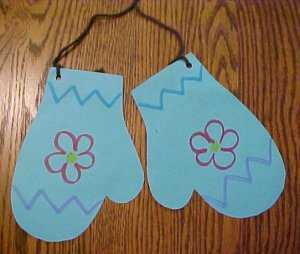 Have students cut out and decorate mittens. Teacher punches hole in mittens and ties together with yarn.